The turnover of personal injury claims management companies (CMCs) tumbled by 30% in the past year, it was reported today. The figures also showed that the overall number of CMCs has halved over the past five years, and in the PI market fell by nearly two-thirds since the referral fee ban was introduced in 2013. The annual claims management regulation report from the Ministry of Justice said that in the 2015/16 financial year, the turnover of the CMC sector fell slightly to £752m. But within that was a 16% increase in turnover for the financial claims sector to £532m, and a drop from £310m last year to £215m this for PI CMCs. The report put this down to “the ongoing challenges in the market following the 2013 reforms and reduction in the number of CMCs operating in the sector (which was larger than the financial claims sector)”. Overall the top 25 highest grossing CMCs accounted for 52% of the total turnover declared. The total number of authorised CMCs has fallen year on year from a peak of 3,213 in 2011 to 1,610 in 2016. “However, the rate of decline has slowed in the last two years as the market began to show signs of consolidation,” the report said. At its peak in January 2013, there were 2,316 CMCs operating in PI; now there are 868 and the number of applications for authorisation was down 39%, as the market becomes harder to get into for new players. 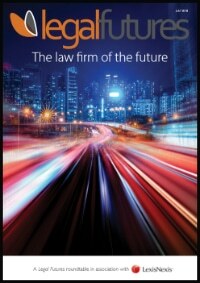 The report said: “The sector remains polarised with a small number of large CMCs operating nationally retaining a dominant position in the market, while the majority of the sector is made up of small, locally operated CMCs who have worked with a solicitor to adapt their business model to comply with the referral fee ban. The regulator said the noise-induced hearing loss claims market has experienced “a number of fluctuations in the past year, with a sharp initial increase in activity followed by a gradual decline. Interest in this type of claim resulted in a large volume of direct marketing activity, principally through unsolicited telephone marketing”. Although still fewer in number than in PI, those CMCs operating in the financial claims sector have for the first generated more than twice the turnover of the PI sector. The report said: “This correlates with a strong payment protection insurance (PPI) claims market, which has not significantly declined since a high peak in complaint numbers and turnover in 2012/13. In its enforcement work during the year, the regulator investigated 41 authorised CMCs and also 47 businesses suspected of providing claims management services without authorisation. It issued 247 warnings to CMCs and advised hundreds more, often following the 306 audits conducted and 1,196 visits made. It cancelled the authorisation of 66 CMCs, suspended four, varied the authorisation of four and imposed financial penalties on four CMCs of more than £1.7m. Looking ahead, the regulator said it was anticipating a potential increase in direct marketing activity ahead of proposed reforms such as a ban on up-front fees, capping of CMC charges, whiplash reforms and any possible deadline on PPI claims. 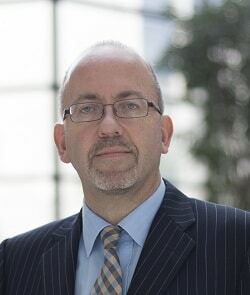 Writing in the report, the head of claims regulation, Kevin Rousell, said: “We have stepped up our work to tackle unauthorised trading, including leading a more active campaign of unannounced physical interventions into businesses believed to be operating illegally without authorisation. In this year’s Budget, the then Chancellor George Osborne announced that responsibility for CMC regulation would be moved to the Financial Conduct Authority. Mr Rousell said he expected this to be completed in 2018. Qamar Anwar, managing director of leading CMC First4Lawyers, says: “It is clear that legislative changes introduced in the personal injury sector in 2013 are working. We believe it is too early to drive through any further legislation. “Within the PI sector, the number of warnings issued has fallen by 76% while visits have increased more than ten-fold. The figures suggest the regulator has made 1.5 visits on average to each PI CMC, yet warnings and investigations have been issued to just 6% of the market, compared to 24% in 2014/15. This is to be welcomed and demonstrates a much-improved sector. So the reforms have reduced the number of fraudulent claims also (as was the intention)? No, of course not. It has just put solicitor firms, CMCs and made legit claimants out of pocket. So pleased the government decided not to listen to all the advise give from industry experts. There is no justification of a time bar of PPI claims. The imposition of such is designed solely to put an end to the industry allowing the banks to escape having refunded less than half of the policies sold. Fee capping CMCs by the CMU will just put the only mass marketeers of the scandal out of business. It’s a damning indictment of society that the banks are able to influence regulators to such an extent that they impose time bars & fee caps under the pretence of ‘benefitting the consumer’.